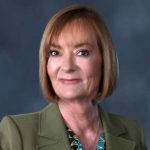 San Diego Hearing Center President, Dr. Blanche Blackington, AuD, FAAA, is a board certified audiologist and has been in private practice for more than 25 years. She earned her master’s degree from San Diego State University (SDSU) and received her doctoral degree from Arizona School of Health Sciences. Dr. Blackington is a consultant for the Department of Consumer Affairs, Speech-Language Pathology and Audiology Board, and Hearing Aid Dispensers Bureau. She taught a graduate-level audiology course at SDSU, is a fellow of the American Academy of Audiology and is also a member of the Academy of Doctors of Audiology. 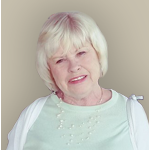 Blanche is proud that her practice incorporates a “patient first” philosophy. 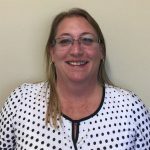 Practice Manager Christina Bobritchi joined San Diego Hearing Center in 2015. She has more than 20 years of experience in the medical field and is a graduate of Mesa College. Her professional interest is patient advocacy and focuses on treating patients as if they were her family. She also considers an efficient and collaborative environment with team members as the cornerstone to a successful practice. Outside of the office, she can be found at San Diego Padres games, music concerts and reading. 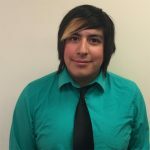 Audiology Technician Kalvin Perez joined San Diego Hearing Center in 2015. A graduate of Antelope Valley College, he performs a wide range of duties including assisting with testing and repairing hearing devices. When not in the office, he can be found hiking, running, longboarding, playing music or traveling. Pam McLeod joined San Diego Hearing Center as Patient Care Coordinator in the summer of 2017. She attended Boone Junior College and has over seven years of experience in the hearing industry. Her goal is to make sure every client is well taken care of and informed about the value of healthy hearing. In her spare time, Pam enjoys baking and outdoor activities.